Wash cloths ever wonder where they disappear to? My children are grown, youngest is 21 now, when they were younger it seemed like we had tons of wash cloths! Of course they always seem to be in the wash! That never ending story of laundry! Just when you think it's done there's another load or 2 that magically appears. Ok back to wash cloths! I want to say in the past 7 to 8 months my wash cloths have been disappearing! Most of them I know how, they have fallen victim to a black four legged friend whom we rescued last November. She is a bundle of joy and frustration, and I say that in the most loving way! I would not give her up if my life depended on it. Now this cute guy, even though he looks guilty, isn't the guilty one. The guilty one seen the camera and split! This guy stepped in and posed for the camera, he was never asked, he just took it upon himself to do this. By the way that's Chief, one of the most loving loyal dogs I've ever known!!! 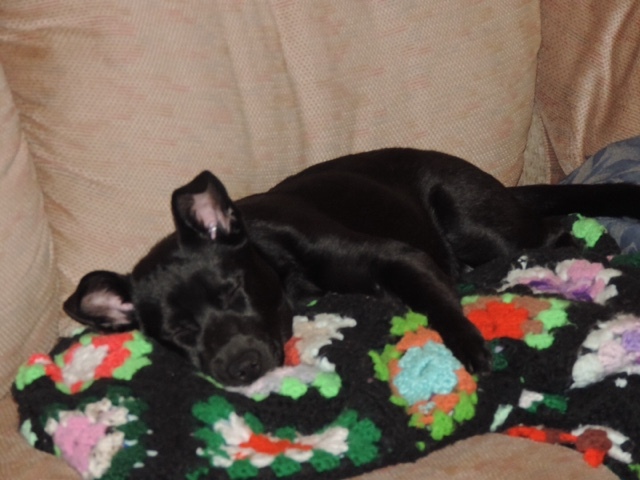 Now back to my rescue pup, she is now a year old, we got her at 5 months of age. Poor little thing had been to 3 different homes before we got her, at 5 months that's a lot of homes! The person we got her from was good to her, but little miss Katie was just to much and she is a hand full! An adorable handful! There she is all cuddled up taking a nap, now mind you that's about the only time she is resting! She is a little got to move gal. Now keep in mind, these are the cheapest thing in our house she has chewed on, besides the paper towel cardboard roll, I've lost expensive work shoes, the cord to my vacuum cleaner, the list goes on, to this cute little gal. Yes she gets disciplined, she will immediately stop when you call her name or even look at her, but as a pup she still has the chew urges, we get toys for her to chew on and our oldest dog lucky feels the need to not let a toy hang around the house unless it's a tennis ball. Pretty miss lucky, she's 4 and a half years old, she has never met a toy she couldn't destroy. Gentle other wise, In fact if you were to come visit, at some point and time she will sit next to you, start smiling while staring at you and before you know it, a big ol wet kiss right across the face. The smiling one is lucky, her partner in adventure is chief. This photo was from a campout we did last summer. 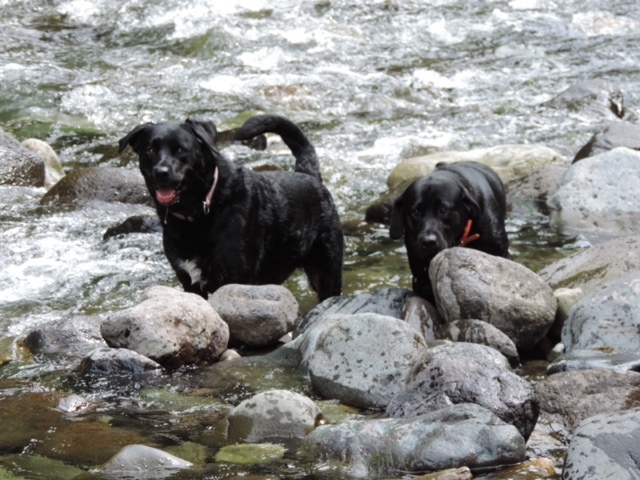 These 2 loved the water, spent most of their time in the creek. Of course so did the rest of us. 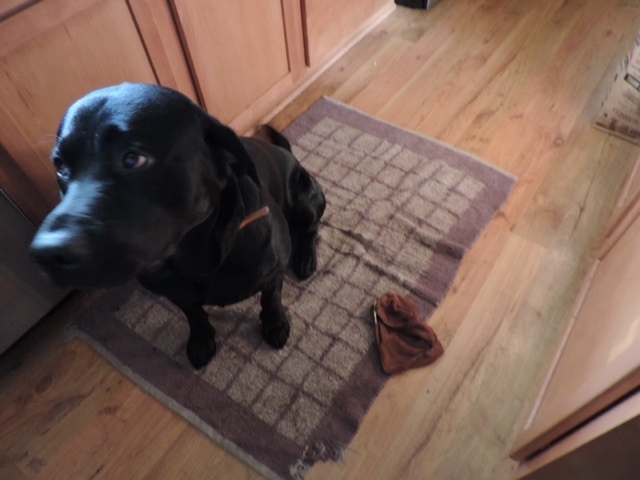 My story of disappearing wash cloths, yes they disappear, yes I know who is making that happen! Did this give me an opportunity to introduce you to my fur babies, YES! Sometime soon there will be a grand baby to share about, until then you'll hear stories about my trio. Each Tuesday at a Farmers Market just across the street from where I live, yes I just said across the street, how could that not be exciting right ?!?! There is a vendor that brings the most amazing watermelon and cantaloupe to sell ( along with some other amazing fruits and veggies). This last Tuesday I got 2 cantaloupe from him. Got home and got to thinking, besides just eating these yummy delicious fruit, what else could I do with them? I have been craving ice cream lately, but it's been so hot the past few weeks that dairy cream just didn't sound good. So off to research Sorbets! Now let me tell you, I was excited as all get out when I found out that it's really really simple to make! Yippee for me!!! Now the tricky part, most actually all the recipes called for lemon juice in the recipes, citrus like the tomatoe family are not good for me! So my experiment begins! Put these sweet yummy chunks of sweetness into the fridge. While my cantaloupe was chillin I created a simple syrup. Boiled together sugar and water. Once the syrup came to a boil I turned it off and let it cool. 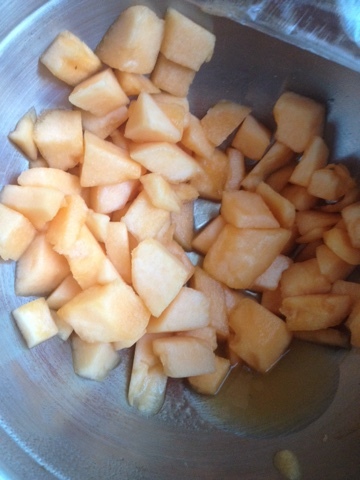 Once cooled I pulled out me food processor, the cantaloupe chunks and the simply syrup. 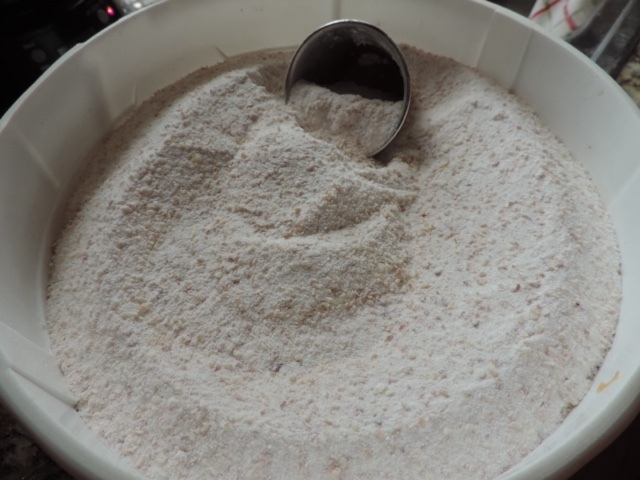 I have a smaller food processor, so this is done in small batches, you can do how it works for you. 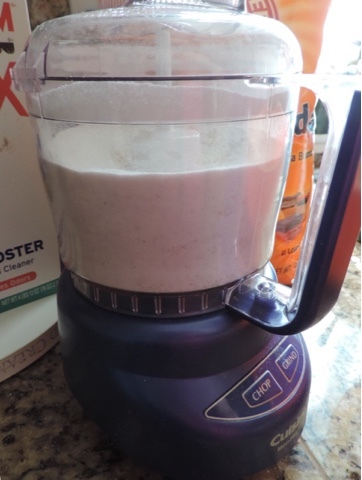 If you don't have a food processor, a blender works great too. 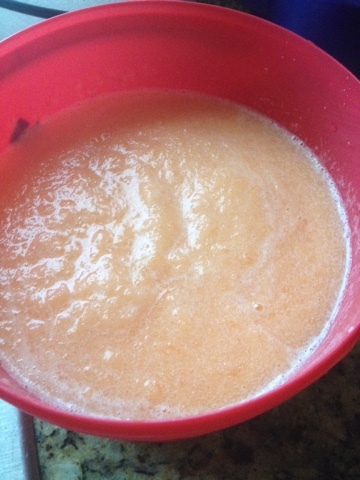 I placed 2 cups of chunked cantaloupe into the food processor, poured about 1/4 cup of simple syrup over the cantaloupe. I put the lid on the processor ( important step here!) then blended away!! Once blended I took the top odd and added a splash of vodka, just a splash. Now my vodka is pinnacle whipped so it has a vanilla taster to it, you can go plain or not use the vodka and go with the lemon juice instead. This is how it looks once blended, yes I took a spoon full out to sample. 😊 very much pleased with the results! 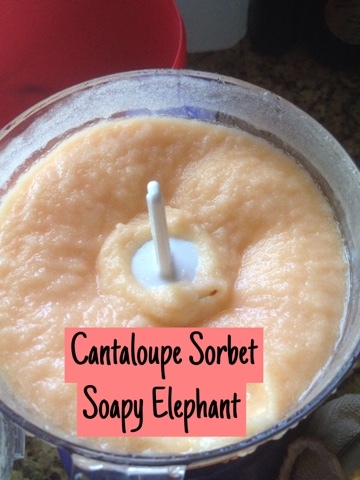 I poured this onto a container and proceeded to do the steps over again until I used up the cantaloupe. 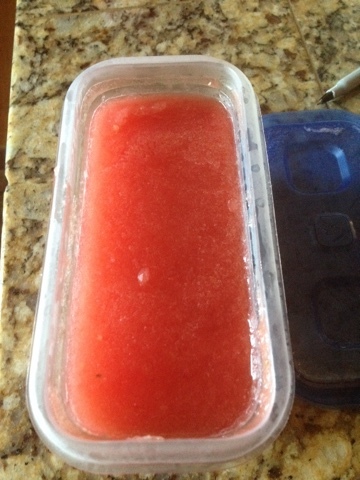 Once my container was full, or I had used up the cantaloupe I had set aside for the sorbet, I put the lid on and placed in the freezer. Now with the vodka in this recipe it won't freeze completely, but it does freeze! When your ready, or the sorbet is ready just pull out of the freezer and scoop yourself up a bowl. I also did the same recipe with watermelon. When I did the simple syrup I added mint leaves to the mixture before it started to boil, once the simple syrup cooled I removed the mint leaves. Vodka to splash into the mixture. 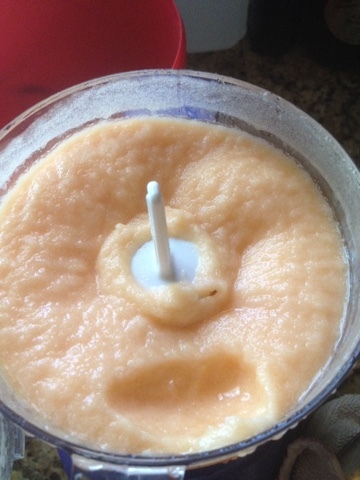 Purée all together, put in the freezer to set up, once ready enjoy!!!! Hope you enjoy this yummy recipe, I know I have already! Years ago I developed a severe allergic reaction to tomatoes. Tomatoes also being in the nightshade family eliminated more foods, like potato, bell peppers, jalapeño, etc. Now due to the reaction that happens, I really don't miss these foods, and if I had to say it I would be on a partial Paleo diet due to it. I say partial because I love my breads 😍. My allergies have lead me on a pursuit to find foods within my safe zone, but can taste along the lines or even better than the tomato counter part. 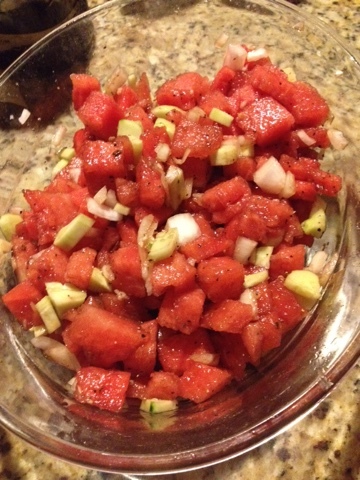 So hence Watermelon Salsa was born!! This taste salsa has gone to several pot lucks, made special appearances at my work and leaves everyone amazed! Usually I don't tell them it's watermelon, they just usually freak out when they see me eat it or they dig into it, eating chips and stating wow this is great salsa!!! 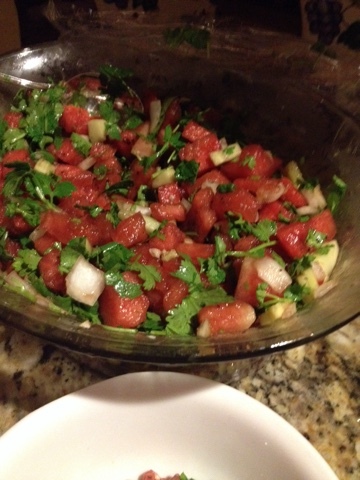 Then I get to step in and exclaim it's WATERMELON SALSA!!!!! Now how to make it, this took me sometime to research and figure out different ways to make salsa, then eliminate what I can't eat due to the allergies. You of course start out with watermelon. Dice up enough to to fill a bowl. 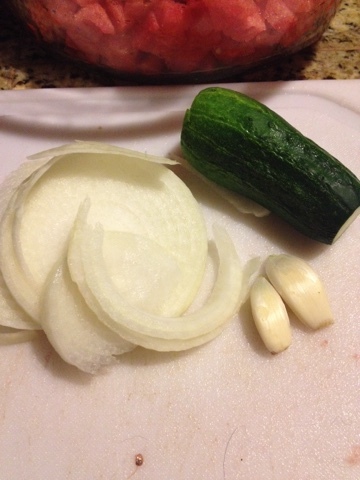 I use my garlic press mince the garlic, I peel the cucumbers, now this time of year little cucumbers from the garden are great! 2 small ones did the trick. Now dice up some onion. I used about half medium onion fort recipe. 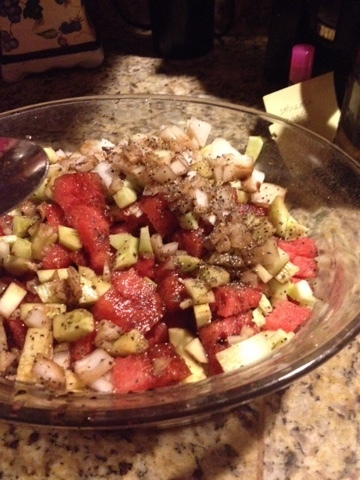 Once everything is diced up, add it to the watermelon. 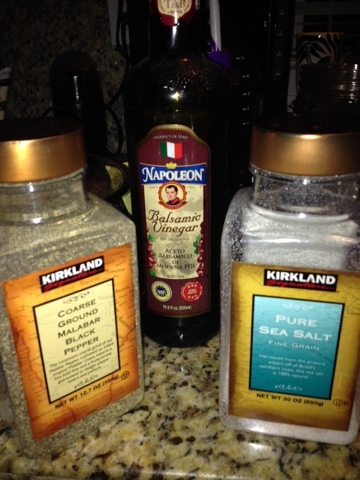 Now for the good stuff, I use about 1/4 cup balsamic vinegar, salt and pepper to taste. Add it right on the watermelon mixture! Stir it in. 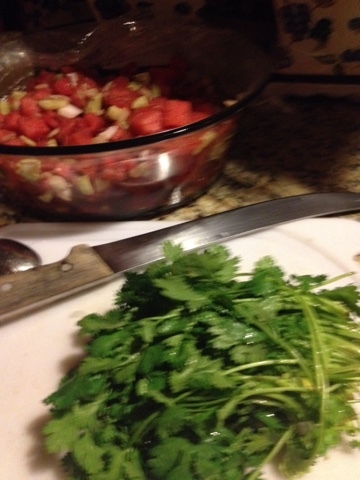 Then last, but not least I chop up the cilantro and add it in. Stir it all together and enjoy!!! You can eat now or put on the fridge for an hour or so to let the juices all mingle together. 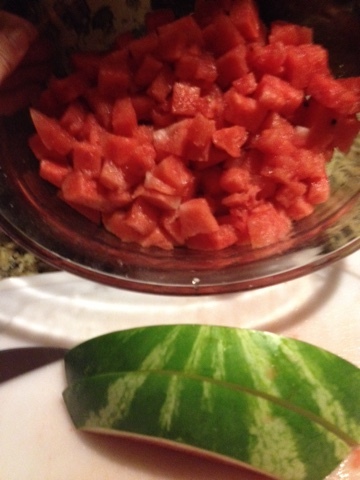 Now note due to the fact this is watermelon, it will get soupy after a day or so, just drain off extra liquid if needed. If your home is anything like mine, this won't last long! Toss everything together and enjoy!!! I usually just eat it with chips, but have also taken a baguette, sliced and toasted. Topped off with the salsa and feta cheese. Your options are endless!! 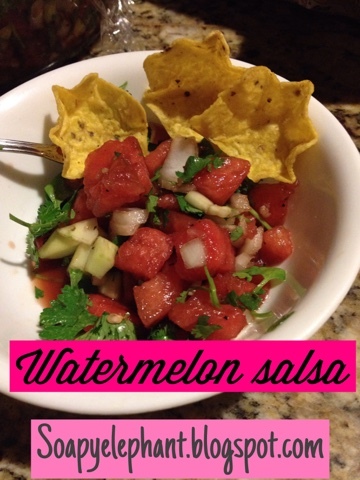 I would love to hear your feedback on how you enjoyed this salsa! 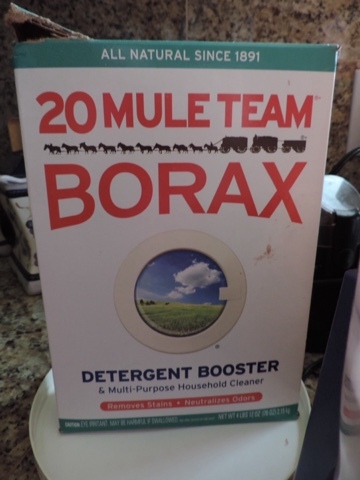 I have been making my own laundry soap for years, my laundry soap recipe came out of desperation for me, as a person with lots of allergies finding something that wouldn't cause hives was a necessity. 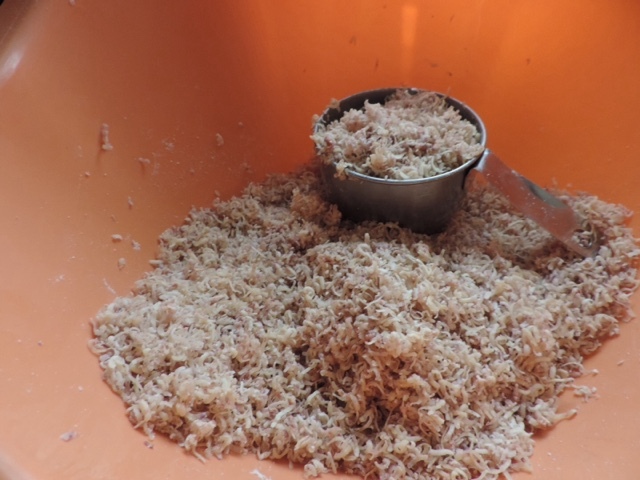 Bonus for me, I use soaps I've already made, using up bars that are older, still good, actually harder making them easier to grate. 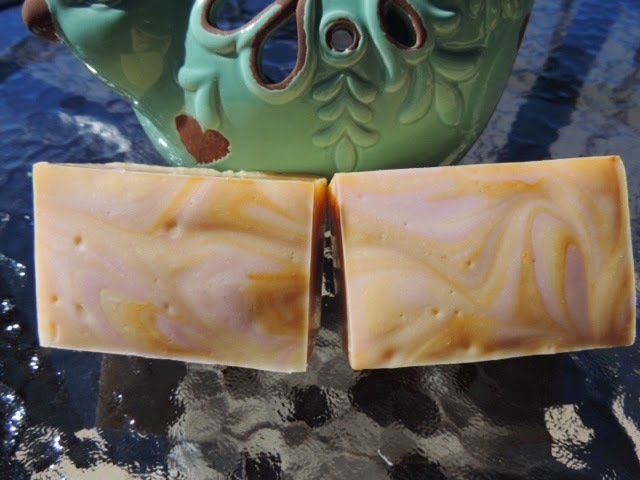 I love my homemade soaps, haven't purchased a bar of "store" soap since year 2000. Another bonus is the ingredients are simple, takes less to wash my clothes and everything comes out clean. 3 summers ago I gave a niece of mine a bag of homemade laundry soap as part of her bridal shower gift. 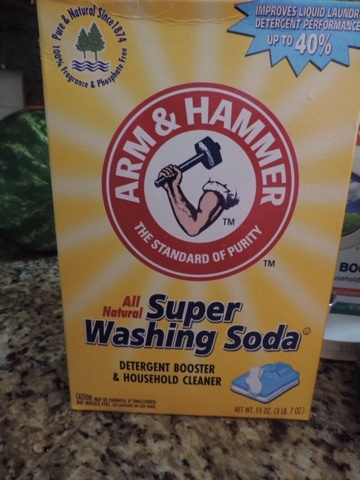 Her husband, who is a part of the naval rescue crews, loves my laundry soap. He finds it gets the smell out of his uniform and other clothes. They loved it so much that we sent it to Guam with them to use. I grate my bars of soap, now I make large batches, so I use more than one bar, but for someone doing this for themselves a bar should do. Take a bar of handmade soap and grate it. 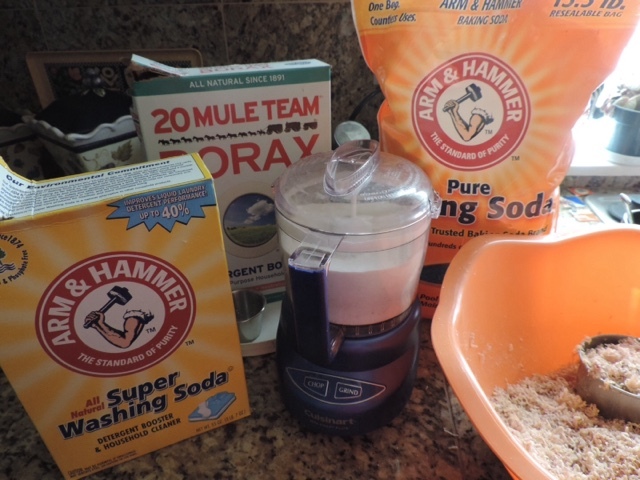 Borax, baking soda and washing soda. Now I put this through my food processor to blend it finer, but that isn't necessary. I process small amounts at a time to make sure it's blended well, then I pour into my storage container. 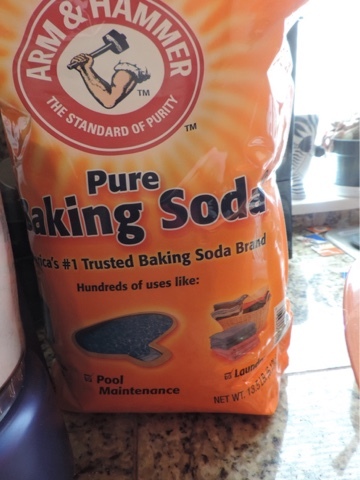 Using this is easy, I have that little silver cup that is equal to 1/4th cup, a regular load I use half of my little cup, or 2 tablespoons of soap, heavier loads I will use more. The container I have is actually a plastic ice cream bucket, (schwans) reused it after we ate all the ice cream, hey a person needs to do their best at recycling. When washing use 2 tablespoons of soap for normal wash, 3 to 4 for heavy, depending on your preference. Now I must tell you that this soap really doesn't suds, that is ok, sudsy water doesn't always equal clean clothes. 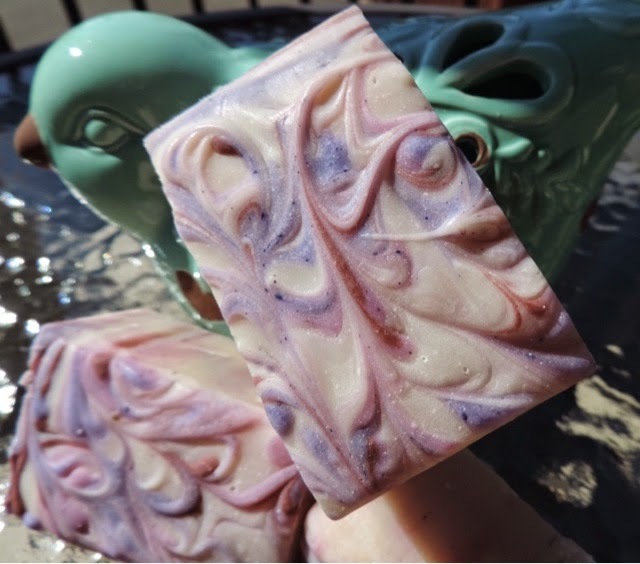 I chose this wonderful sweet scent to participate in a soap swap this month. 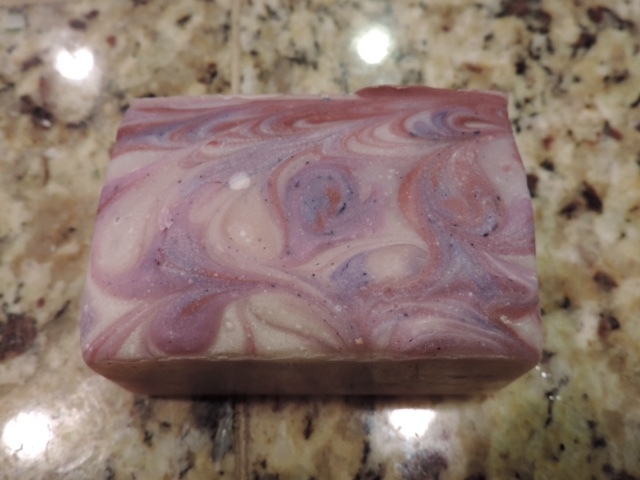 I'm excited as, to me, this soap has turned out beautiful! 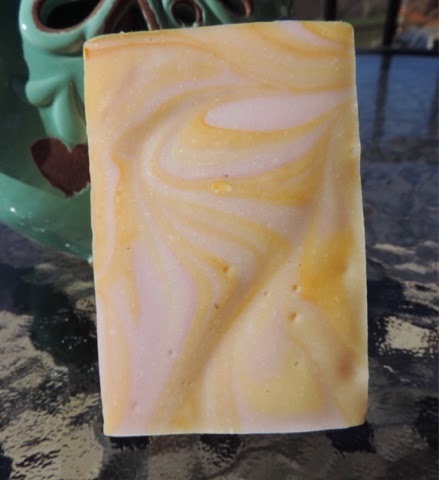 Pretty apricot color with a light pink swirl. 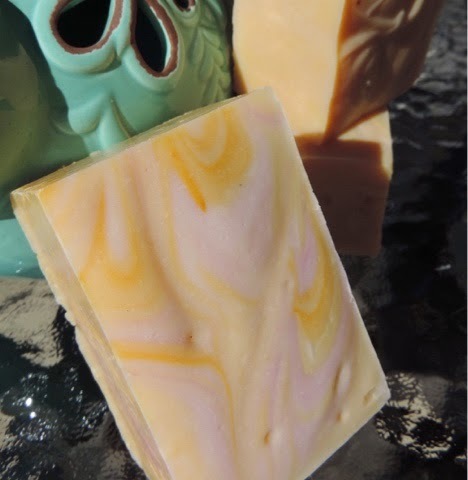 These beautiful soaps are made with some great skin loving oils and butters. Olive, coconut, lard, Shea and cocoa butter. Reminds me of walking right into the Portland Rose Garden when in full bloom, oh the sweet crisp blend of many fragrant Roses. 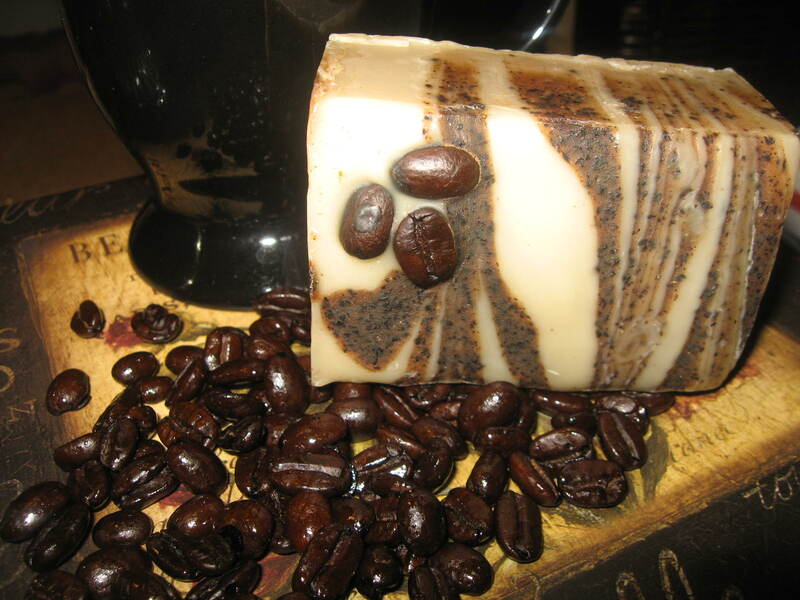 My lovely soap is made up olive, coconut, grape seed oil, lard, cocoa butter and Shea butter. 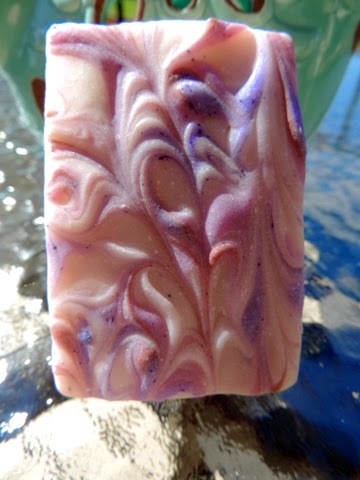 With besutiful swirls of purple, pink and burgundy oxides. Skin loving and beautiful. My favorite fragrance oil is rise and shine , this one scent I think I gave gotten from Brambleberry from almost the beginning, the smell is so sweet and wonderful! I want to be part of the Spring 2015 S.O.A.P. Panel, to me this is a great way to be creative and interactive in what is new in the soap world. A chance to get my creative juices flowing again.